in order to complete the letter-writing part of my 101 list, i’ve decided to join the month of letters challenge this coming february. i’m pretty sure i would have no problem acing it just with postcrossing cards… but i really want to try and write more letters! 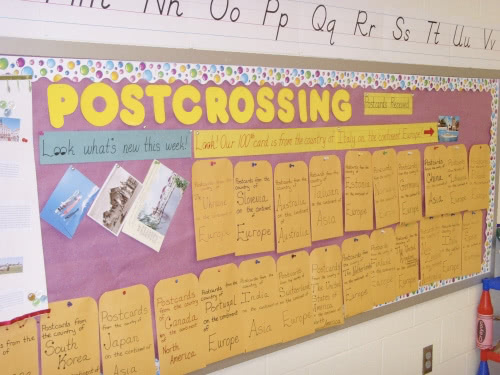 every now and then, we get an email from a teacher thanking us postcrossing, and telling us about their own projects that use the site. it makes me super-super happy to know that somewhere out there, some kids are excited to be receiving postcards and learning about new cultures through them. 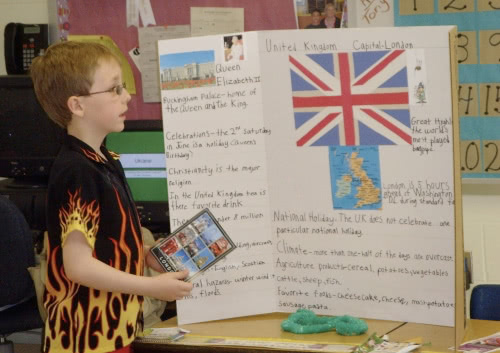 maybe some day the world will be a better place because these kids understand a bit about other cultures, can point the countries on a map and remember one or two things about them. more about this happy class, here. 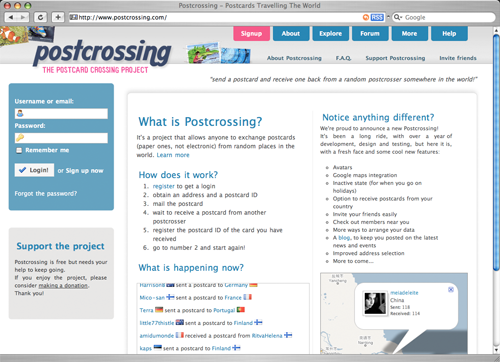 so finally, after 1 year or so on the works (and the meter getting close to the “1 million postcards received” mark), there’s a fresh new face on postcrossing.com, and a ton of new features.